Marina Testino was born in New York and raised in Barcelona, Spain. The niece of famed fashion photographer Mario Testino, Marina has created a series of capsule collections featured under her new brand, Point Off View, a cross-pollination of art and fashion. Marina is signed with The Society Management’s creative roster and travels between Peru and New York to work on her collection. I think nowadays people are focusing less on appearance and superficial beauty and are shifting towards feeling good on the inside, which radiates confidence on the outside. I grew up in the countryside in Spain, so when people spoke about beauty it was more in relation to nature, not people. I now live in New York, and over the summer I went to my parents' beach house in Cadaqués. I normally stay there a couple of days and then travel somewhere else. This trip I decided to stay a whole month, and it was the first time that I realized the simplistic beauty and calming aura the place radiates. Being there made me disconnect from the chaos of a big city like New York, where the days roll into one another and everyone seems to be constantly running late for everything. The peacefulness and energy of Cadaqués were so special and beautiful and authentic. Somebody who is always happy. 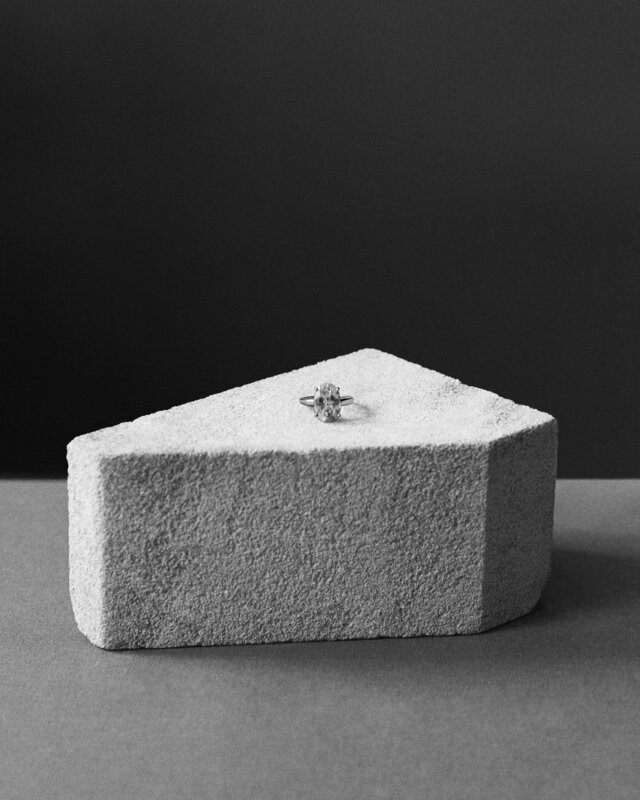 My father [Giovanni Testino] gave me the ring. It was one of my grandmother's rings that he inherited from her, and he let me choose from her collection of jewelry. This ring was probably one of the least valuable ones, but I fell in love with the Aquamarine stone.